One of my childhood dream had been, to visit Bodh Gaya. Recently, when I got the opportunity to go there, the spiritual experience was just magical. Bodh Gaya, is a small place in the state of Bihar, on the Northern side of India. 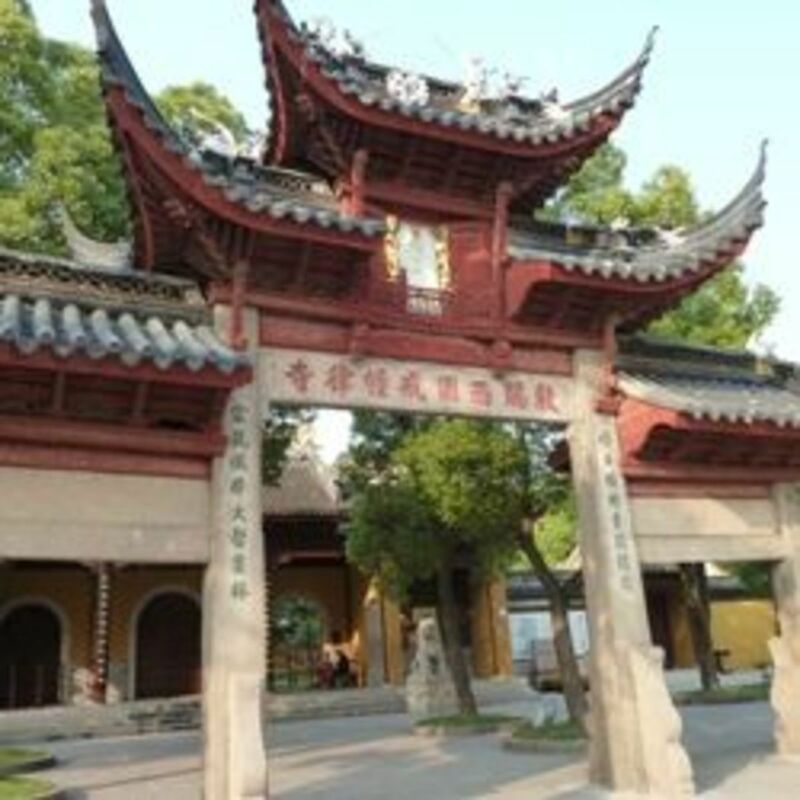 A small place, with a big spiritual and religious significance, because it marks the origin of the Buddhist religion. This place is the ultimate destination, for those who have faith and follow Buddhism. Bodh Gaya is considered to be, the most revered and sacred Buddhist site. The place has its historical importance, as it is believed to date back to the second century A.D. and most of us have read about this in our history books. 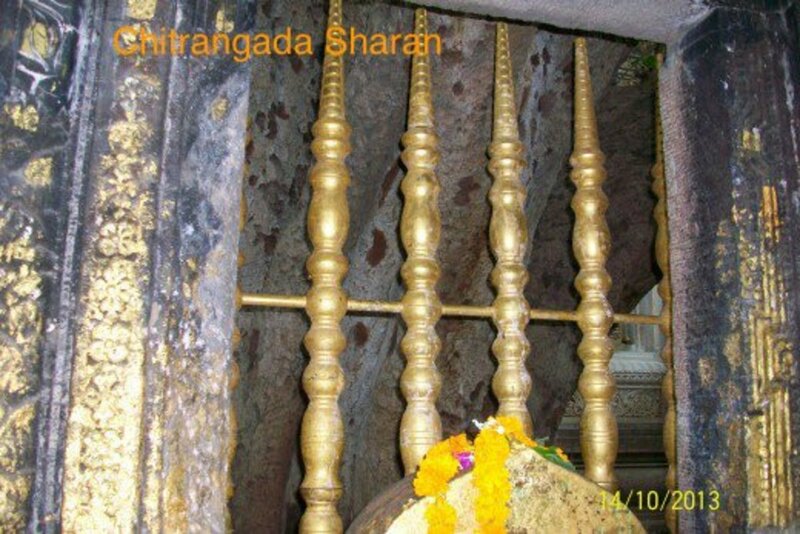 Prince Siddhartha or Gautama, his other name, had sat in meditation, under this Pipal tree for around fifty days. Not going into the details of the dates, the vast spread of its massive branches is just amazing. There is a lot of history attached to the place, but I was more interested in the visual delight--the serene atmosphere, the beautiful architecture and the majestic monument. One can experience and feel, a definite peace and serenity, around the whole place. There are lotuses engraved on the stone, where Lord Buddha supposedly put his foot first, after he attained 'Enlightenment'. Be kind to all creatures. This is the true religion. 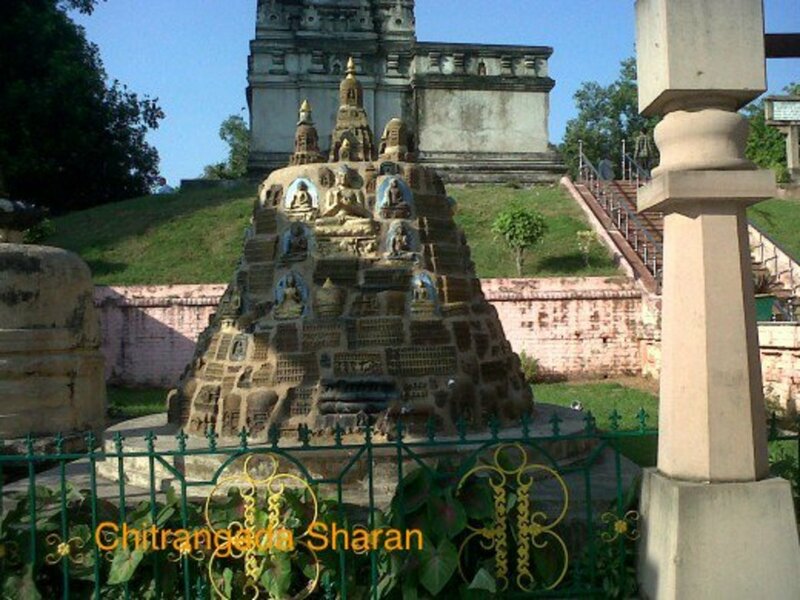 The Maha Bodhi temple is a tall, pyramid like structure. 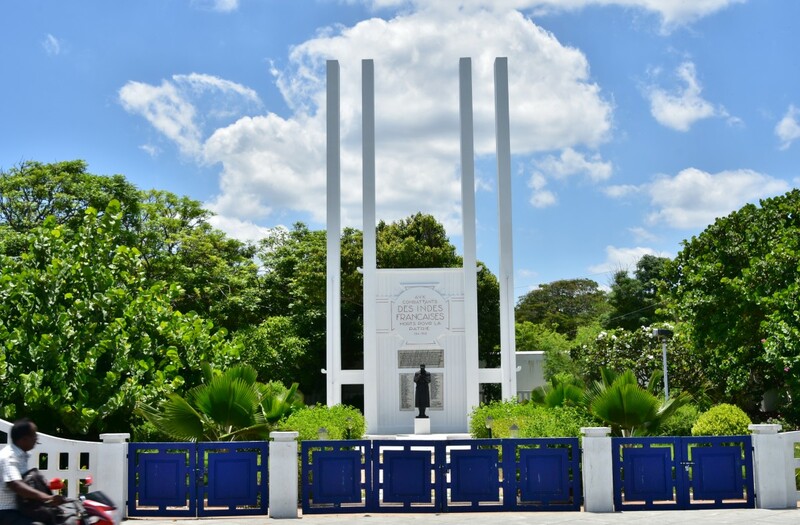 This is the main site, which attracts visitors, from all over the world and especially, those who have faith in the teachings of Lord Buddha. This is the place, where Siddhartha Gautama became 'Lord Buddha'. ‘Bodh’ in Hindi, means 'Gyana' or Knowledge. 'Buddha' means 'The Enlightened One'. People come here to be inspired, to shed their negative thoughts, or negative 'Karma'. The temple houses a magnificent statue of Lord Buddha. The Buddhist monks can be seen here, sitting in meditation, paying respects to the 'Stupas'. They take 'Parikrama’ (walking around), of the MahaBodhi temple, to pay their respect. The entire area is covered with greenery and old green trees. There is an unmistakable quietness and peace, which penetrates, deep into the soul, making it an experience of a lifetime. Be patient. Everything comes to you, at the right moment. 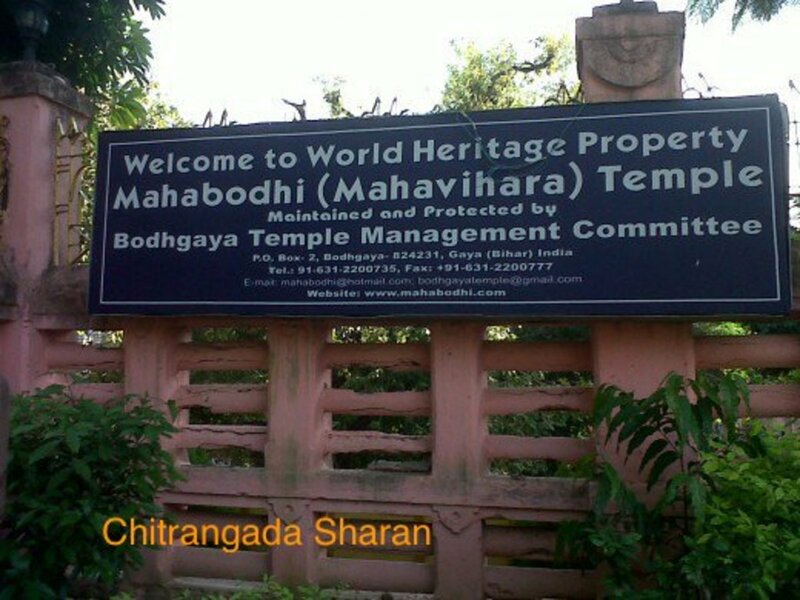 Would you like to visit Bodh Gaya after reading this hub? Not possible, I live too far away. Forgive everyone, you will be happier. To the west of the Maha Bodhi temple, one can see the sacred Mahabodhi tree, under which Buddha attained enlightenment. This led him to achieve the status of Lord Buddha. The magnificence of the tree, has to be seen, to be believed. The wide and huge trunk, confirms the age of this tree. The Mahabodhi tree is spread all over, making it difficult to see from one end to another. It is all over the place, spreading its branches all around. The supporting roots have grown into, many other huge trees. One can see the Buddhist monks, sitting in meditation everywhere, and there is Peace all around. Thousands of Buddhist pilgrims, visit this beautiful temple, spread all around, with lavish green landscape, throughout the year. The Government of India, and other travel agents, provide all the information, regarding the route options, hotels, preferred time to visit and other relevant details, on their websites, as well as their registered offices. Well maintained hotels and restaurants, can be found, outside the premises of the temple. You can reach Bodh Gaya, either by plane, or the train, or by the road. If you prefer to travel by road, Gaya is 110 km. from Patna, the capital of Bihar. The nearest airport is the Gaya airport, around 17 km. from the main temple. 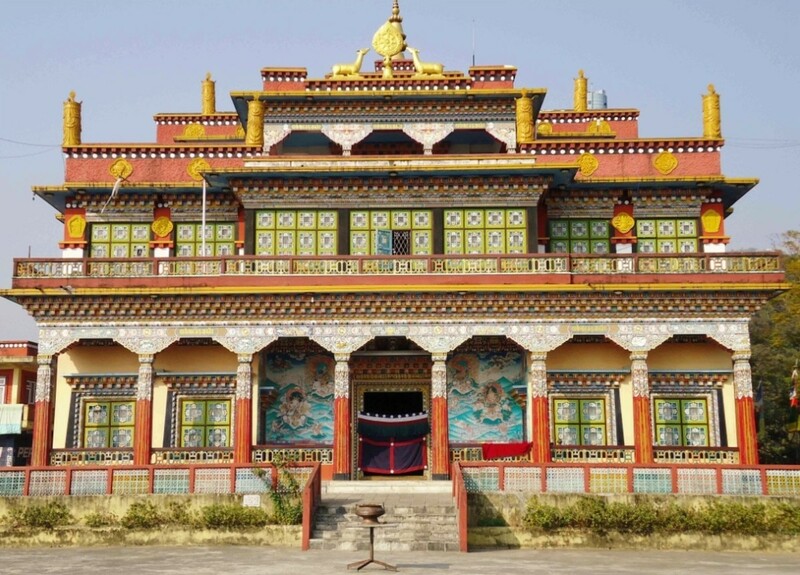 From the airport, taxi services are available, to reach the main temple. Another option is to land at the Patna airport, and take a cab to Gaya. Patna has connecting flights from New Delhi, Mumbai and Kolkata. It is advisable to have consultations, with a reputed travel agency, before embarking upon your journey. There are some good options of staying there, the hotels and the restaurants, about which you can get the information and bookings done, through these travel agencies, and you can also arrange for a guided tour. Outside the temple, one can find some beautiful art and craft items being sold. These handcrafted items are related to this amazing World Heritage temple. People buy these beautiful art pieces, as a memento to keep with themselves, or to gift to their family and friends. Have you visited the Bodh Gaya? Please share your experiences here in the comments section. Thank You Eric Farmer, for reading and commenting! Yes, it’s an excellent place to visit. There is peace and serenity all around. Good for meditation too. This sounds like a very interesting place to visit. Thank you Nithya for reading and commenting on this hub! Yes the Bodhi tree is amazing. In fact the whole atmosphere at the heritage is quite serene and wonderful. You would love it when you visit it. Bodh Gaya seems to be a great place to visit. The Bodhi tree is amazing, great photos of the place. Hope to visit the place someday. Thank you heidithorne, for reading and commenting on this hub! Yes, I visited this beautiful Buddhist Pilgrimage some time back, but the serenity and the memories are still fresh in my mind. Glad you liked the hub and thanks for your votes and appreciation! Thank you Audrey Hunt for your kind words of encouragement and blessings. It is indeed a very serene and peaceful place to visit. I was spellbound to see the whole place. Thanks for voting up and sharing! I didn't see this post when you originally published it. Glad one of our HP friends shared it. Absolutely beautiful photos! Voted up, awesome and beautiful! The Buddhist philosophy interests me and I would love to see this temple and join in the peace and serenity it brings. Your photos are spectacular, inviting and beautiful. Thank you for writing about this pilgrimage, I feel a calmness after reading your hub. Voted up, useful, beautiful, awesome, interesting and will share with others. Need any help in Bodhgaya4india@gmail.com find in face book. Thanks suzettenaples, for your kind visit and wonderful comments! Buddhist philosophy is very simple and focuses on meditation. This really is a wonderful and calm place. Thanks for your kind words of appreciation! I love this hub and I would love to see this someday. I have read about the Buddha philosophy or religion. I'm not sure which it is. Buddhism brings calm are serene feelings. It is full of wisdom which is really so simple to follow. 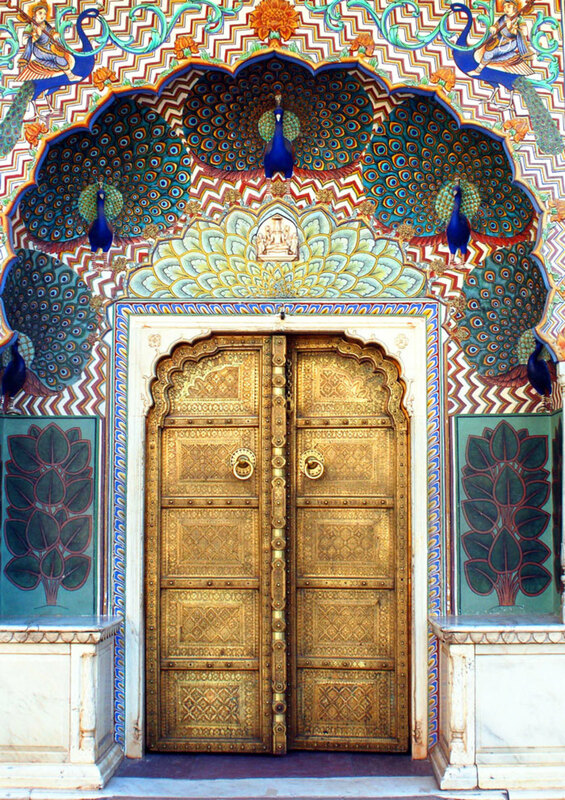 The temples pictured here are beautiful with so much intricacy in the carvings. Thanks for sharing this . I enjoyed reading it. Thanks sunilkunnoth2012, for going through this hub and your comments. 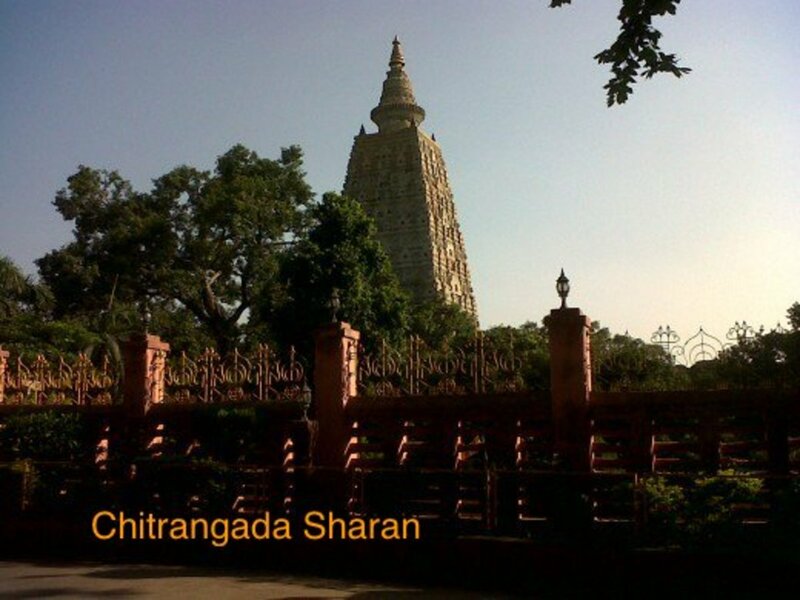 Its my pleasure, if you follow this hub, when you visit Bodh Gaya. Tell me your experience, when you do visit the place. I too wish to visit the place in near future. thank you for sharing your knowledge here. shall depend your article when i pack my bags. Thanks Rajan, for visiting this hub and your kind comments. I would be happy if you visit Bodh Gaya. Chitrangada, I've never visited Bodh Gaya but always wanted to. These pictures inspire me to try to visit the place. Thanks Frangipanni, for reading this hub and enjoying it. I also love to travel and see new places and cultures. It would be great if you visit India. Thanks for the encouraging comments and the follow. What a great hub. It sounds lovely. I really enjoy reading hubs on other places and countries. It always makes me want to go there. I have voted up and are now following you. Thanks DDE, for your visit and appreciation. It's always wonderful to hear from you. Interesting and different thank for the insightful information, and he experience sound wonderful. Thank you John, for reading my hub and giving your feedback. Thanks for the link and email. I am John from India. Actually I am a student but my Hobby is Tour Guide work and all management for tourist in Bodh Gaya. My only Hobby is this if u needs any kind of help in Bodh Gaya Bihar or India. 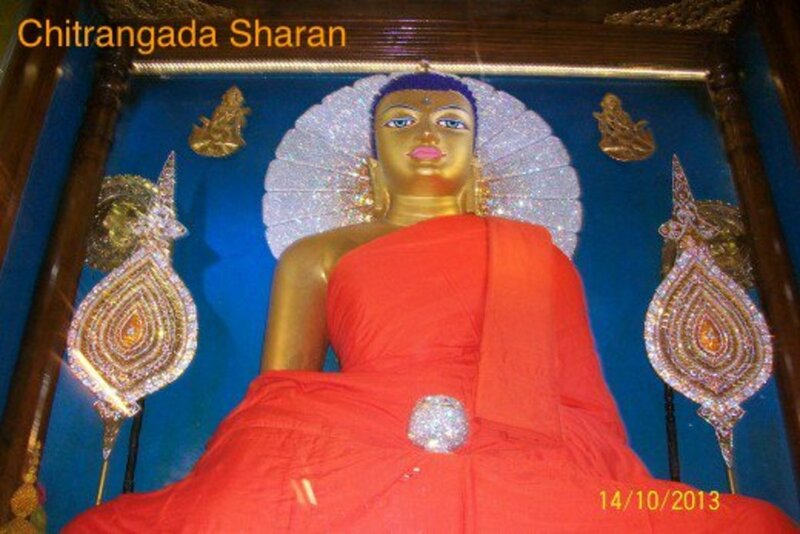 u please mail me at bodhgaya4india@gmail.com or visit https://www.facebook.com/bodhgaya.india and send me message in Face Book. 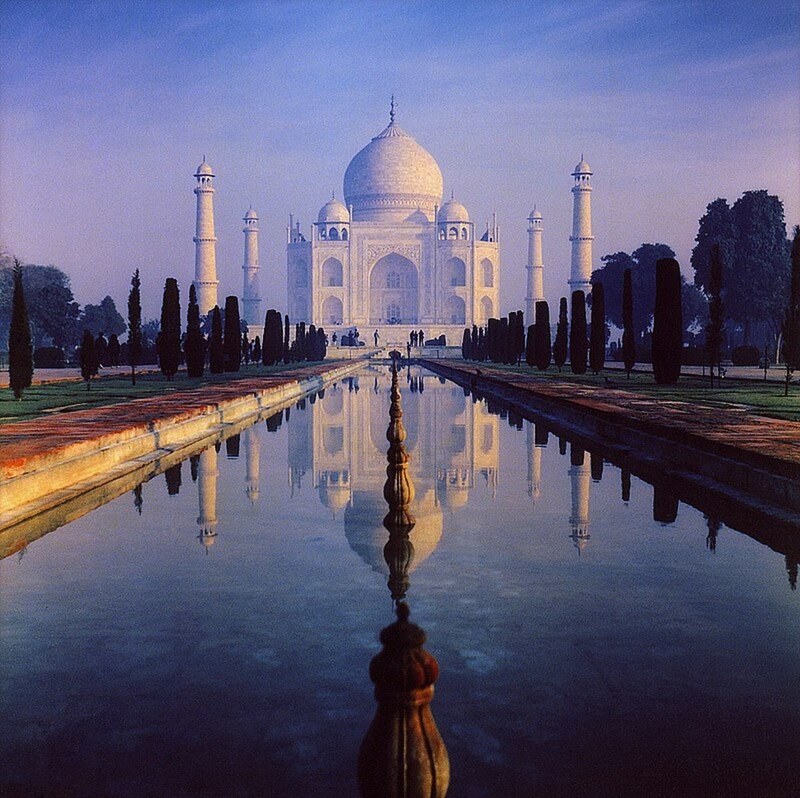 Your Private tour guide in India ……. Sure, you will visit---. 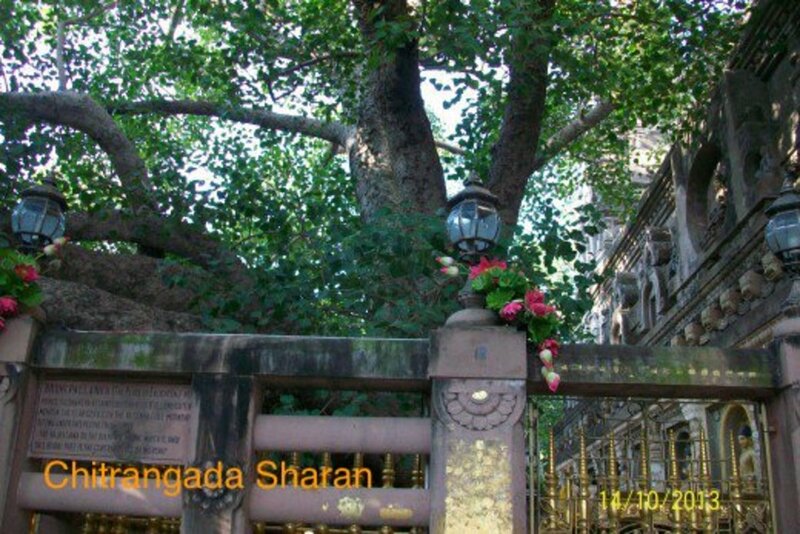 I was always so very curious to see the Mahabodhi tree, and the experience is unforgettable. Thanks for your visit and kind words. I would love to see the sacred bodhi tree in person. I would love to see the monks and feel the "peace all around." Thanks for sharing this miraculous place . . .perhaps one day I can visit. Thanks flashmakeit, for your visit. Your comments are greatly appreciated. That was a special trip! Thanks for sharing the brief information about sacred Bodhi tree where the monks sit and meditate.